The Style Crone has been featured in the January issue of Denver’s 5280 Magazine. The online version of the piece HERE is available for all to read. The print version is available in newsstands across Colorado. It’s a full-page spread, and I’m very excited to be honored in such an impressive publication. Fashion Editor Georgia Alexia Benjou interviewed me several months ago. She created instant rapport and trust, and made our time together relaxed and fun. I was very happy with the article, and feel that she captured our conversation beautifully. She included information about the widows’ project that I’m in the process of developing, and mentioned the hat room in “fun facts.” The entire process was a high point of 2018, and it was significant to see it come to fruition in the New Year. 5280 Magazine took home the title of the best big-city magazine in the U.S. in 2018. The magazine won the title along with a total of five awards during the City and Regional Magazine Association’s (CRMA) annual awards dinner in New Orleans, Louisiana. In celebration of Style Crone’s feature in 5280, I chose to dress in vintage, which included most of the strings of pearls found in my collection and discovered at estate sales over the years. The black beret embellished with pearls was also an estate sale find, along with the vintage pearl and rhinestone earrings and vintage gloves. The vintage black velvet opera coat was gifted by my creative blogger friend Shelley of the blog Forest City Fashionista. Thank you Georgia and 5280 Magazine for bestowing this honor upon me. “Timeless Fashion” in 5280 Magazine. 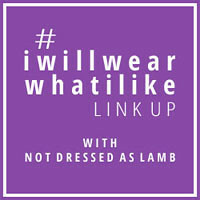 Linking up with Patti’s Visible Monday HERE at Not Dead Yet Style, Catherine’s #iwillwearwhatilike HERE at Not Dressed As Lamb, and Cherie’s Shoe and Tell Fashion Link Up HERE at Style Nudge. You Look Amazing, as Always, Beautiful Judith! The explosion of Pearls is Fabulous, and so is every other elegant item you are wearing. You are my First and Favorite Fashion Inspiration in these Wonderful Crone Years, and I am so grateful to have discovered you. Congratulations on this Spectacular Magazine Feature, you ‘Wear It Well’. A beautiful and uplifting publication to suit a beautiful, uplifting woman, Judith. Your photos are the cream of the crop. Love this, Judith, and love that you love it!! I am thrilled for you! And for me, getting to see all these photos! I’m sure I must have read it before, but reading the article reminded me about your “dressing up for chemo”. I accompanied my Dad to chemo and other appointments often, and I remember sometimes deliberately wearing things that were personal “f@ck you’s” to what was actually happening. I did a similar thing to a beloved uncle’s funeral, albeit in both cases it was often my jewellery moreso than my clothes,not having the fabulous options you do. Adore the black velvet and pearls! Congratulations! LOVE LOVE LOVE! Congratulations Judith. What a year 2018 was for you! Here is to an equally amazing 2019 and beyond! Great article and wonderful photos as usual Judith. You seem to be hitting it out of the ballpark every time. Bravo! The stratosphere is where u r headed! Wow, this is truly stunning! Judith, You dress for the theatre of your life. Everyday might as well be a celebration, right? Sharing is what you do in the most personal way. Congrats on a beautiful publication. Judy @fancified.ca . What fantastic coverage! You look amazing as always… congrats on your success! Congratulations on an excellent article (and fabulous photos of course)! I found your blog not too long after you started it and I remember your “Dressing up for Chemo” posts. What a long way your blog, and your life, has come since then. It is wonderful that you have had so many joyful adventures, and Nelson’s spirit has been beside you all the way. I’m so happy that beautiful coat is getting a second life with you. It is a stunning piece and it looks so glamorous on you, especially draped with piles of pearls. You look absolutely stunning in this cascade of pearls and black opera coat, dear Judith! How wonderful that you were featured in such a respectful local magazine – beneficial to all, readers, publishers, and of course you and your admirers such as myself! Well deserved! Utterly gorgeous outfit – and those pearls! You are such a role model Judith – wonderful! You are such an elegant and stylish lady. Absolute class all the way and I might be so bold if I can to comment that you have the most beautiful skin.